As the Sainsbury’s on Bugsby’s Way plans its move to Gallions Way, IKEA seeks to take over the space it vacates. IKEA’s plans would create a store readily accessible to customers using public transport, convenient to Metro links as well as bus and rail services. Customers who chose to drive will find ample parking with over 1,000 spaces shared between IKEA, B&Q and Odeon. The convenience this store would offer is greater than at any other IKEA in the UK. The proposed IKEA location serves London residents in Kensington, Knightsbridge, West End, Fulham, Clapham, Chiswick and Canary Wharf. Convenience, however, is not all this new store would bring to South London. IKEA anticipates creating approximately 200 construction jobs during the renovation period and 400 jobs for the store itself. IKEA further anticipates another 80 position relating to facilities management, security and cleaning services. These are significant opportunities for some of the area’s long-term unemployed. Of course, customers who use public transportation services will need assistance with delivery. IKEA has collaborated with Hertz to provide vans for rental at a preferential price if you wish to pick up your purchases yourself. Alternatively, you can arrange for delivery within our service area by speaking to a floor representative. Generally, you can request delivery for same or next-day service. Some custom-made products are delivered without a fee. Your service representative can provide you with details. That said, car-less high flying professionals, students and other IKEA customers who live in central London, who like to browse for smaller items will be able to pop over via public transport, and carry their blue IKEA bags home. For us, the new IKEA store will mean a greater demand for our services. When speaking to our customers, we find that the main reasons that people don’t by IKEA furniture is because they dislike the assembly part and actually getting to the store in the first place. Hopefully the new IKEA store in Charlton combined with a little help from us will make the whole IKEA experience even easier. Following the public exhibition of the proposals on November 9th, IKEA will provide an unstaffed exhibition at East Greenwich Library, Woolwich Road from November 11 through 23, 2013. This is part of the process of the application for outline planning permission to the Royal Borough of Greenwich. London is an amazing and culturally diverse city with so much to do and see. It is both modern and full of history. If you are relocating from the U.S. for a new job or business opportunity, you will be amazed at how easily you can explore all of Europe and then some. You will experience culture shock, and there will be many little (and big) differences that you weren’t expecting, but if you keep an open mind you will be able to take things in stride. Relocation can be an overwhelming ordeal for anyone, particularly if you are relocating overseas. No matter how exciting it is, there is so much to be done. If you are moving to London, here are some tips to take the stress out of the move so you can focus on the excitement and fun of exploring your new city! If you will be bringing pets with you, make sure you give plenty of time to get things in order. It can take a while for all the paperwork to go through, and if it is not followed to the letter, it can cause delays. The UK has guidelines for bringing new pets into the country follow this link for details bringing pets into the UK. You also may need someone to look after them for a while. You will need to furnish your new apartment. One easy and stylish solution is to purchase Ikea furnishings and have them shipped to you in their flat packs. If you loathe the idea of assembling your new furnishings, an Ikea assembly service (shameless plug alert) like ours, can come and put it together for you! 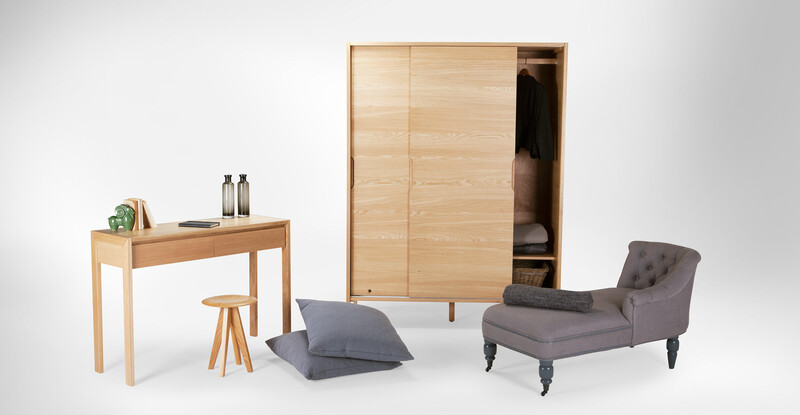 Why not mix the fasionable practical style of IKEA with some luxury, timeless, classics, at the ARAM store. http://www.aram.co.uk/ The kind of furniture they sell are sensible investments. Getting around in London is best using public transport. Get an “Oyster Card” for a discounted rate. It works out much cheaper than single journeys and has more flexible options than a travelcard. You can also have an Oyster Card prepayed for your visitors when they come to stay. It can be difficult for spouses to adjust to living abroad, especially if they are not working. There are many online communities set up by other expats that can provide resources, advice and social interaction with other spouses who are going through the same adjustment. So, if London is your destination, remember: Do your research, get an Oyster Card, furnish your flat easily, meet new people, and most importantly, enjoy yourself! And also remember that we will be here for you to assemble your furniture.